It’s been a couple of weeks now since I went shopping in Waitrose and M&S when they were running their 25% off promos. In those few weeks I’ve had a chance to open a few of the bottles, and must admit, I have been really impressed with what I have drunk. It’s also fair to say that a couple of these wines are well worth a buy at full price… Although I’m sure there will be another per-Xmas bonanza coming our way. But seriously, if these guys do run a similar deal then get down there quick… It will certainly add to you Xmas enjoyment. With all of the talk this week about the supermarket 25% off deals I thought it was time I got in on the act so spent some time this afternoon vigilantly scrutinising the shelves in Waitrose and M&S. Sorry, I couldn’t bring myself to visit the theme park that is Tesco in Watford on a Sunday (or any other day if I’m being totally truthful). I spent a bit of time during the week reading some of the recommendations from Jancis, Tim, Tom et al, and pulled together a shortlist of interesting looking options and stared from there. M&S in Rickmansworth was the first port of call, where I was met with bright red point of sale material confirming that I was in the right place to save 25%. Phew. The wine sitting underneath was the £3 Pinot Grigo and Cab Sav nonsense so I ventured to the farthest reaches of the store to look at the range. Confession time. 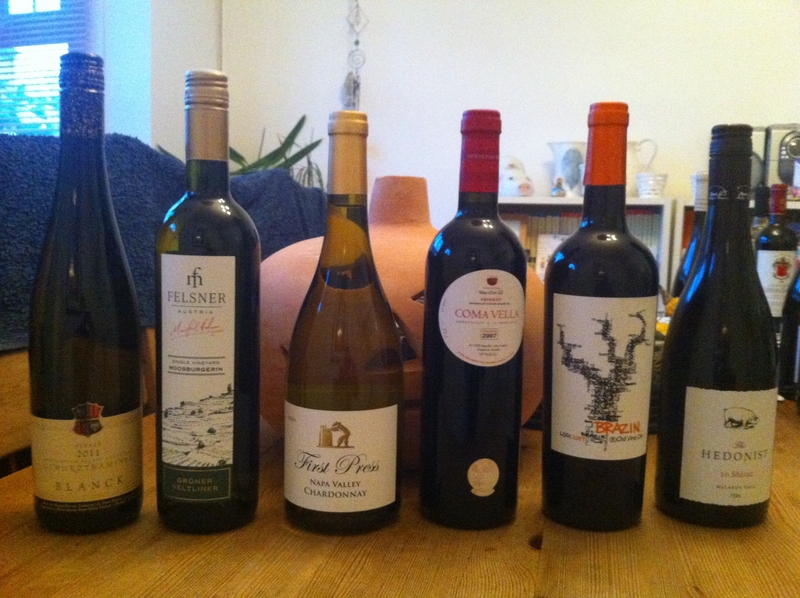 I was planning on buying 6 wines… I ended up buying 6 bottles but only 4 wines. The reason being that I had to purchase 3 bottles of the excellent Maison du Tastelune Chassagne-Montrachet 2008. The Fish bought me a bottle of this for my birthday a couple of months back and it is an excellent example of Chassagne, with a great fat texture and lots of peach and lemon fruit with hints of nuttiness. This wine is usually £30 so £22.50 to me looks like a bargain for an appellation where you rarely get change from 30 notes. So three more wines to find. I found an M&S Meursault 2008 sitting next to the Chassagne so I’ll give this one a trial in the team too (£21.75 with the discount). The next on my list was another favourite, the Palataia Pinot Noir 2011 from Pfalz. Another corker of a wine and under £10 usually (£9.99). Lovely silky Pinot for £7.50?? I was gutted there was only one bottle left! My last choice was a Villalta Amarone 2008. I love Valpolicella and have only recently been seduced by the deeply concentrated flavours that some time in the sun can do to the Corvina grape. At £18.75 with the discount I hope I’ve picked a winner. 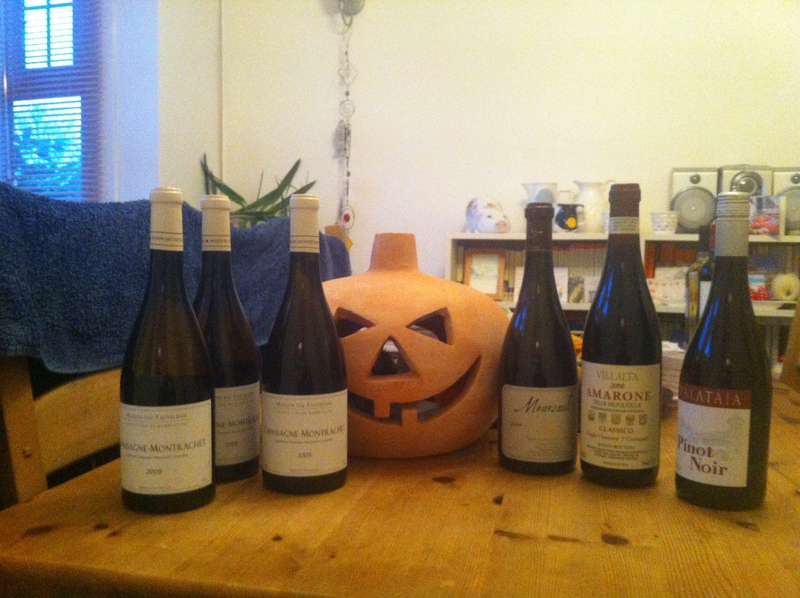 My M&S slection – Trick or Treat? So the M&S bill came to £152.99, or £114.74 with the discount. This feels like a good price to pay for the bottles in the basket but only time will tell. Next stop Waitrose and this time lots of green signage luring me into the 25% savings. Here I had no preconceptions and decided it was 6 wines; 3 white and 3 red. So here goes. The white choices came from my online research earlier this week. Blanck Gewertztraminer Alsace 2001 (£14.99/£11.24), Felsner Moosburgerin Gruner Veltliner 2011 (£11.49/£8.62) and First Press Chardonnay Napa Valley 2010 (£16.99/£12.74). A selection of grapes I love and the prices look good so I’m really looking forward to getting stuck into them. 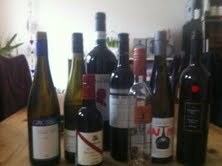 The reds proved a little more difficult as most of the wines on my research list weren’t on the shelves. But what the hell, isn’t this the fun of shopping?? My first red choice was the Coma Vella Priorat 2007 (£23.49/£17.62). If you’ve read my Barcelona article you’ll know that Priorat is fast becoming a new obsession with me. Since coming back from Spain I’ve been struggling to find much Priorat on sale, and even less under £30 so I’m hoping I may have found a new option at Waitrose. 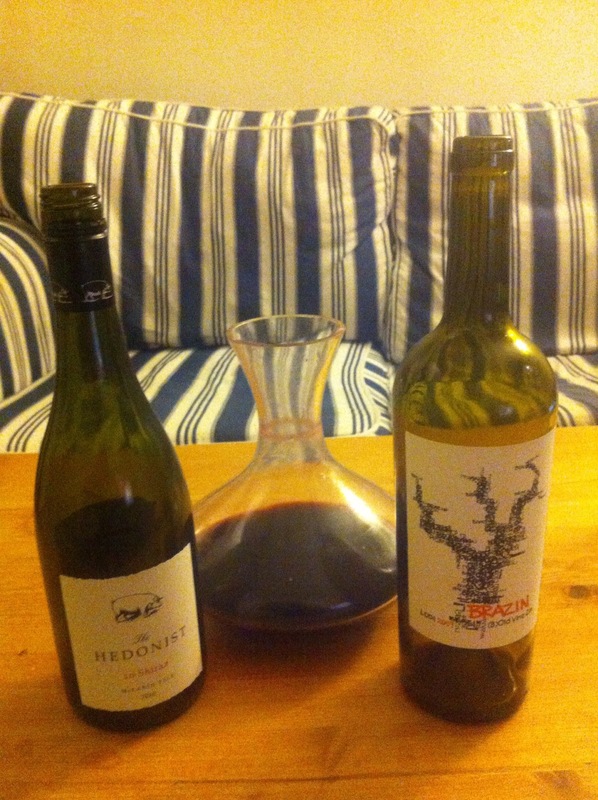 Selection #2 is The Hedonist Shiraz McLaren Vale 2010 (£12.99/£9.74). I love the Northern Rhone spicy Syrahs and haven’t paid much attention to Oz reds for quite some time, so I’m looking forward to a silky number from the Southern Hemisphere. And last but not least, a fruit bomb from the States, Brazin Lodi Old Vine Zin 2009 (£12.99/£9.74). I often forget how much I enjoy the warm cherries and spice of Zinfandel so I’m hoping this one reminds me and sends me back for more. The Waitrose bill was £92.94, reduced to £69.71 with my 25% discount. In conclusion, I’m a sucker for what looks like a bargain. I look forward to seeing whether the Waitrose wines offer the better value for money or the extra investment in M&S pays off. Whatever, I can’t wait to get stuck in over the next few weeks.